We’re hiring for the 2019 summer! These positions go fast so get more information now and enjoy the summer outside. For more than 30 years, we’ve been one of the most trusted sources for full-service pool management in Saint Louis. Pro Pool is a full-service swimming pool rehabilitation, maintenance and lifeguard management business. We serve residential and commercial properties with exceptional care and have become one of the largest swimming pool service companies in the St. Louis metro area. 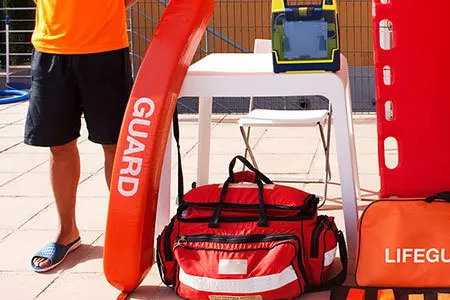 Pro Pool Management is an American Red Cross Authorized Provider, and requires all employees to be certified in American Red Cross Lifeguard Training, CPR/AED for the Professional Rescuer, and First Aid. Providing our customers with knowledgeable, dedicated lifeguards. Our business has been built on word-of- mouth referrals from loyal, satisfied clients. So properly caring for your pool is our top priority. Let Pro Pool make sure yours is clean, safe and above all, fun! We offer Comprehensive service & maintenance plans for both residential and commercial pools. 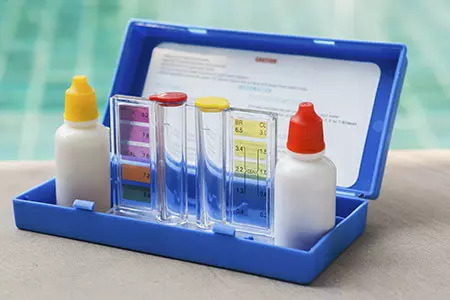 The right pool chemicals and care can be a relaxing paradise without having to go far. Come enjoy the summer outside and be part of the Lifeguard team at Swim Pro Pool.